Fitted with tandem hanger for high and low ride with swivel facility for comfortable wear in the vehicle. The pistol is automatically locked when holstered. The trigger and mag release catch is protected against unauthorised or accidental manipulation. 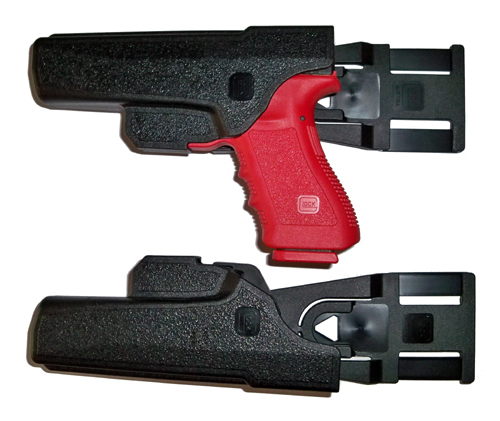 The weapon can be withdrawn from the holster in one quick motion. Left or right hand available.